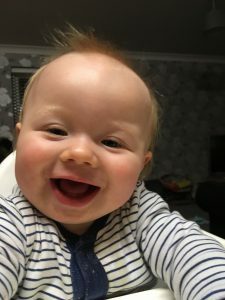 On the 19th of December 2017 my 9 month old son was rushed to our local hospital after having a seizure he then had another one a few hours later. All I remember is loads of doctors running in, time was ticking; they were pumping him full of medication to try and stop his seizure. Unfortunately none of it worked and he was unconscious for 2 hours still having seizures one after the other, he started struggling breathing so he had to be whisked away to theatre to be put to sleep because they just couldn’t get control of it. Watching my poor baby boy go through it. He was then stabilised and we could go in and see him in our local intensive care. That’s when we had to be transferred to PICU at St. George’s Hospital, London. When we arrived they were all there waiting for him, I honestly from the bottom of my heart cannot thank the PICU team enough for what they did for my little boy; you saved his life and I am forever grateful. Your team are absolutely amazing and so so caring, they explained every single thing to me from the plan to what the machines meant, they were there every step of the way. Not in a million years did I think my little boy would be diagnosed with epilepsy. 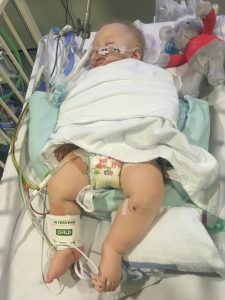 This entry was posted in Patient Journeys and tagged Edward, epilepsy, life support, paediatric critical care, Patient Stories, PICU, seizure, status epilepticus. Bookmark the permalink.